One of the most well-known spa brands in Britain, Elemis spa is an award-winning choice for more than 6.5 millions of people every year. Combining state of the art technology with natural active ingredients, the Elemis spa products are ideal for anyone who would like a smoother and more luminous complexion. Elemis spa offers some of the world's best natural therapeutic treatments in more than 1200 locations all over the world. You can find their products either in selected salons or in one of their spas. In the UK, the flagship Elemis Day Spa is located in London, but you can also find branches in Glasgow, Birmingham, Manchester, and more. Whether you are looking for a relaxing massage to relieve stress or you want to pamper yourself with a facial or a scrub, Elemis is one of the best choices around. The spa experience at the Elemis day-spa includes a variety of beauty rituals, as well as professional massages and fitness activities. From exotic steam rasul to detox and body cleansing, you can choose from a variety of items from the spa-therapy menu. Special treatments are available for men and mothers to be. 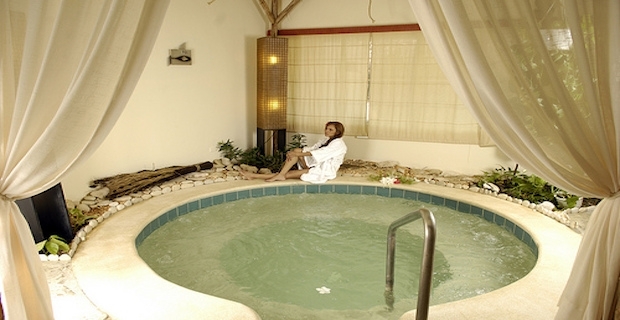 For example, you could opt for the Absolute Mother-to-be Experience, which includes a nurturing massage and a facial. The Total Time Out for Men is a package that includes a complete body and face overhaul to rehydrate and energise the complexion. Couples are not left out, and you can opt for a detox for two package or a back massage for two. The unique spa-therapy menu you can find at Elemis spa can help you achieve a perfect level of wellness in just a couple of hours. From massages to facials, a day at an Elemis spa can truly help you boost your mood and look your best no matter your lifestyle. Whole body wax – Do you brave it?